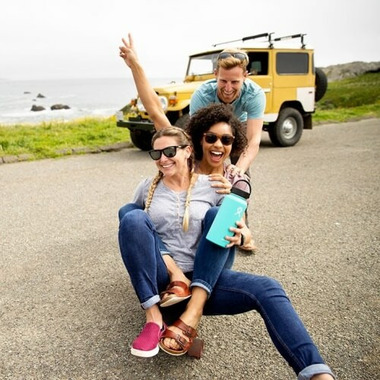 Big enough for a whole day in the backcountry, Hydro Flask Wide Mouth is made with professional-grade stainless steel and a wider opening for faster fill. 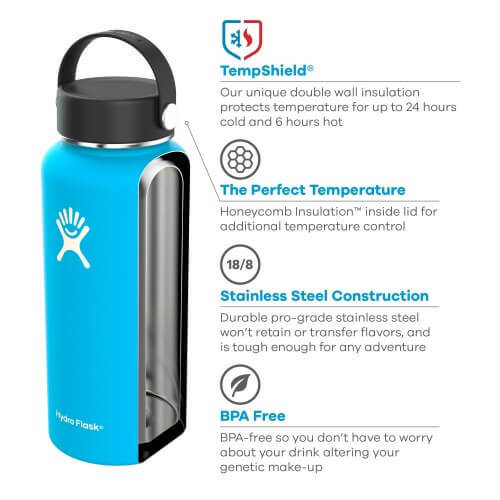 And because it’s designed with TempShield™ double wall vacuum insulation, it keeps your ice water refreshingly ice cold up to 24 hours and hot drinks hot up to 12. Which means you’ll always have the perfect temperature drink. I am very happy with this product. 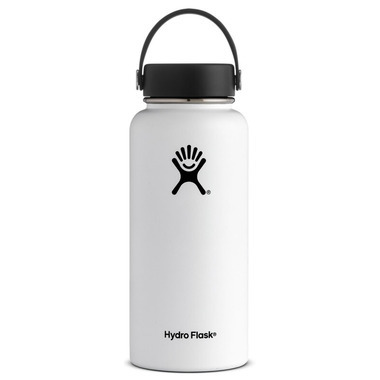 It is the perfect size to take with me for the day and keep me hydrated all day long!